Jack Pennick as Drill Sgt. The Colter Craven Story is unique. 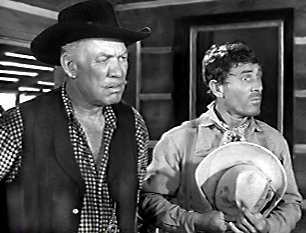 Most obviously because it was directed by legendary John Ford as a testament to his friendship with Ward Bond and John Wayne, who promoted the idea. The three had known each other since 1928. Only his second TV project (the first was a failed Screen Directors Playhouse in 1955) Ford expressed pleasure with the outcome. 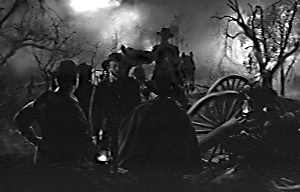 And he claimed Wayne’s appearance on the set to play General Sherman was a surprise to him. Known for his prodigous but speedy output, Ford delivered 72 minutes of film in six days, one extra shooting day than normally allowed. It was so good that there was talk of spending a little more time and money and turning it into a two-parter. According to Bond, at the last minute 15 minutes was cut instead. 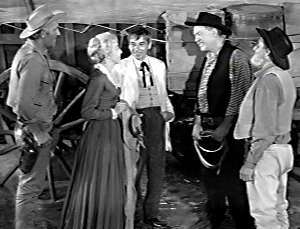 Major Adams finds Dr. Colter Craven and his wife by their broken down wagon and invites them to join the train. Although he aids an injured boy, when it becomes necessary to perform a Caesarian section, he refuses to pick up a surgical scalpel. Distraught after what he has seen in the Civil War, he prefers to drown his sorrrows in a bottle. 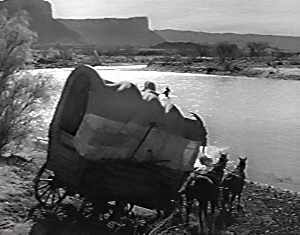 This site is not endorsed by or associated with any entity which may own the rights to Wagon Train. ©2010-2019 Michael Rich. All rights reserved. From TV Guide. 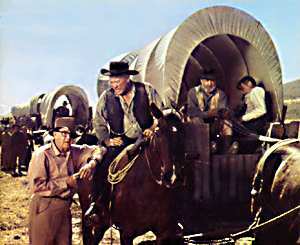 John Ford discusses a scene with Ward Bond. Dr. and Mrs. Colter Craven. 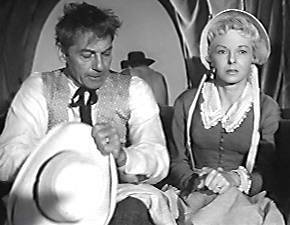 Played by Carleton Young and Anna Lee. 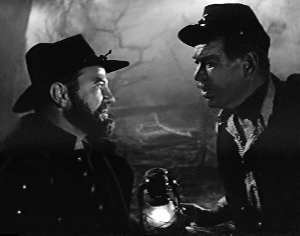 The Major argues with Paul Cleatus about water for the train. 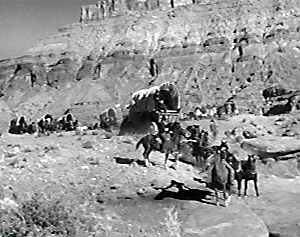 At right is Ken Curtis, a member of the John Ford stock company and John Ford’s son-in-law. 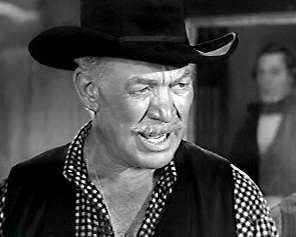 But you know him better as Festus from Gunsmoke. 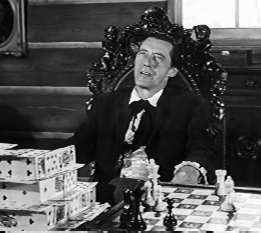 John Carradine as Paul Cleatus is giving the Major a hard time. And the Major is giving it right back. Dr. Craven treats a boy on the train. 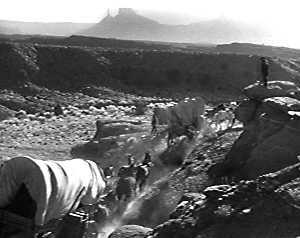 More John Ford stock company people. 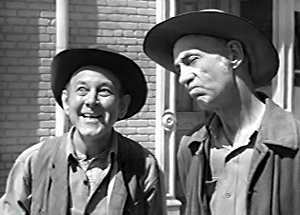 That’s Hank Worden on the right. 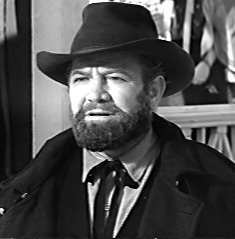 He played Mose Harper in the Searchers. 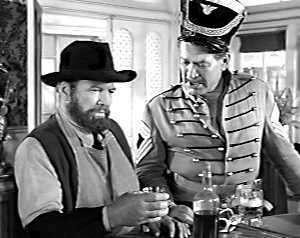 The Major, resplendent in his militia uniform, discusses drinking and war with “Sam” Grant. The Major runs into his old friend Sam after Shiloh. Only now he is General Grant. In this scene, Seth Adams receives a battlefield promotion to Major. A happily recovered Colter Craven. 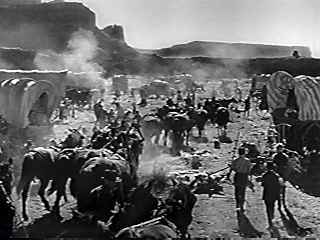 John Ford’s vision of the Wagon Train as filmed expensively for this episode.